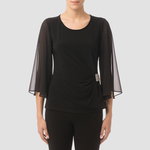 This super chic cape top is so on trend right now. 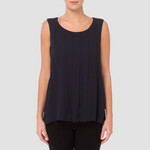 It features a gathered neckline and it detailed with a geometric square print in a contesting blue. Easy to dress up or down. Washable and is one size fits all.